Does it seem like you get a lot of cavities, even though you try to take really good care of your teeth with regular brushing and flossing, and visit your dentist regularly? If so, you’ve probably started thinking that you just have “soft teeth” and there’s nothing you can do about it. But keep reading to find out what REALLY might be happening! I remember one lady in her mid-30’s who came to my Charlotteoffice years ago. Her story was sad – perfect teeth until she started having children, when she suddenly started getting cavities. After her 3rd child, it got worse……..a LOT worse! She was desperate – she had spent so much time and money at the dentist, but the cavities kept coming back. 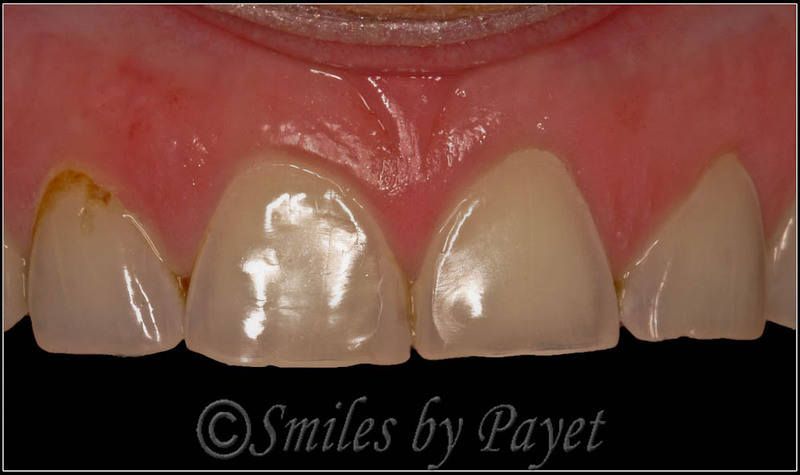 😥 We ended up doing a bunch of veneers and gave her a beautiful new smile back………but I kid you not, within 2 years there were cavities around those veneers! And trust me……she worked SO HARD at keeping her teeth clean and healthy! She was fanatical about brushing and flossing. We tried everything I knew at the time; sadly, I eventually referred her to a specialist who did dental implants that couldn’t get cavities. OK, now you want to know why – after experiences like that, I say there’s no such thing as “soft teeth,” right? Well, since then, I’ve learned a lot more, and I’m confident in saying that NOT ONLY is there no such thing, but there ARE things we can do now to prevent that sad cycle. Previously, I discussed one of the most unknown reasons for tooth cavities in my post Why Moms Get Cavities After Babies: ACID REFLUX. Seriously! 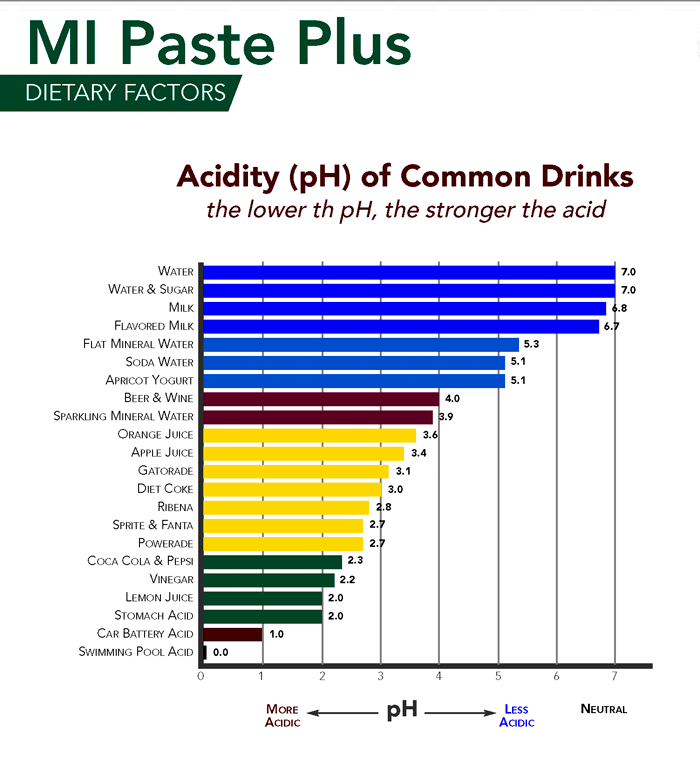 Take a look at this chart that shows just how acidic stomach acid is (click to see a bigger version, easier to read). Studies indicate that up to 75% of people with heartburn have zero symptoms. But it is more damaging to teeth than sodas, monster drinks, or any other food that you ingest. Yet somehow, people never stop to think about this! PLEASE understand how serious I am about this – I have seen so many patients who even KNOW they have heartburn, but somehow don’t believe it’s problem. Here’s the simple truth: enamel is MUCH harder than bone, so you can chew food your entire life. The hardness comes from minerals (calcium, phosphates, fluoride), there is only one way for enamel to become weak: to have the minerals taken out. And there’s only one way for the minerals to come out of your teeth: ACID. That does include sodas, sports drinks (look up where Gatorade falls on the chart – scary, isn’t it? ), and stomach acid, among other things. But when your teeth come in, they are the hardest & strongest part of your whole body. It doesn’t matter if your parents had lots of cavities! You’ll notice a pattern – the yellow sodas cause the most cavities. Of the dark sodas, only Dr. Pepper seems to cause such a “cavities-gone-wild” scenario. If you seem to get a lot of cavities and think you have soft teeth, PLEASE don’t assume there’s nothing you can do. There is always a cause, and it can be treated!